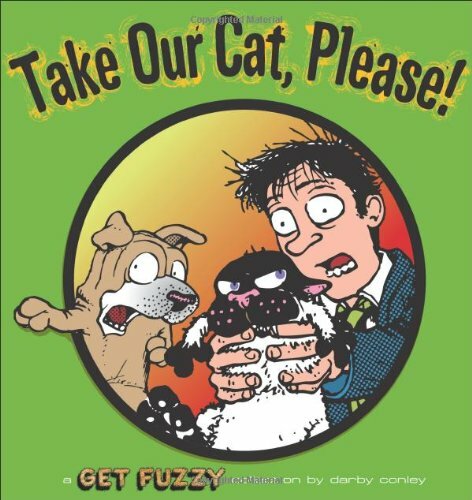 Get Fuzzy was named Best Comic Strip of the Year in 2002 by the National Cartoonists Society. Satchel, the Shar-pei-Lab mix in the Get Fuzzy family who actually believes what TV commercials say, and his owner-housemate Rob Wilco, a single, somewhat befuddled, Red Sox-obsessed ad exec, endure the scourge of their daily existence, Bucky Katt. Whether baiting the ferret down the hall for battle, gorging on rubber bands (and the ensuing gastric consequences), or joining the gun repair club, Bucky continuously tests the patience and endurance of his hapless mates. Three Get Fuzzybooks, Bucky Katt's Big Book of Fun, Blueprint for Disaster, and Say Cheesy, have been New York Times best-sellers.